Ground Hogs Days. It’s a movie. It’s a semi national holiday. It’s the occurrence of similar events again and again. Just the other day I was out enjoying the warm weather and came across yet another pair of still working Fords similar to the ones we saw the week before. Shawn’s Paving was out and about hauling snirt(Snow that is dirty, often seen by the side of roads and parking lots that have been plowed). In the background is the Institute for Human Performance. Sounds creepy. I suppose I’ll stop taking pictures of these trucks when people stop running them. Until then we’ll have to enjoy fresh off the farm trucks like this Ford 900. Thinking about it after the fact I should have poked around a little longer to see if there was a green leaker under the hood. It wouldn’t surprise me. 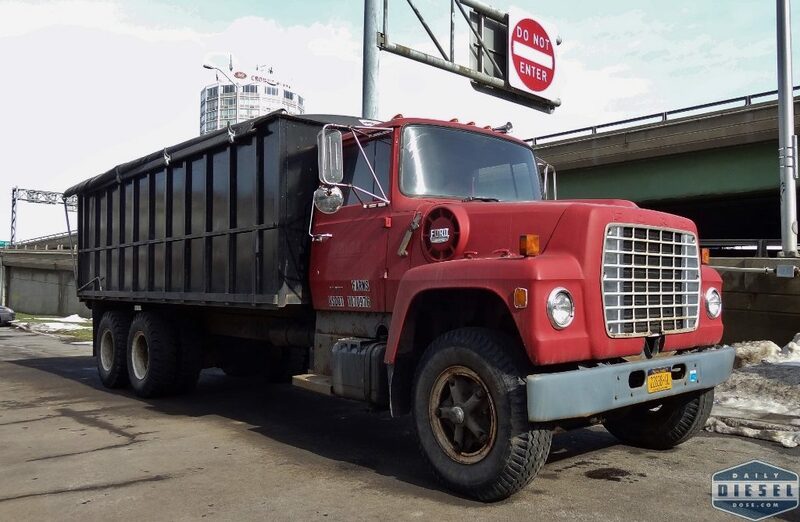 This entry was posted in Still Working and tagged ford 900, ford L9000. Bookmark the permalink. Hi Eric. That LT900 would not have a Detroit if it is really a 900 model. Gas is the fuel in that model so likely a Super Duty 477 or 534 V8. The 9000’s were the diesels. Strange location to see a grain truck right there beside I-690 in the heart of the city! Ah. That sounds right. 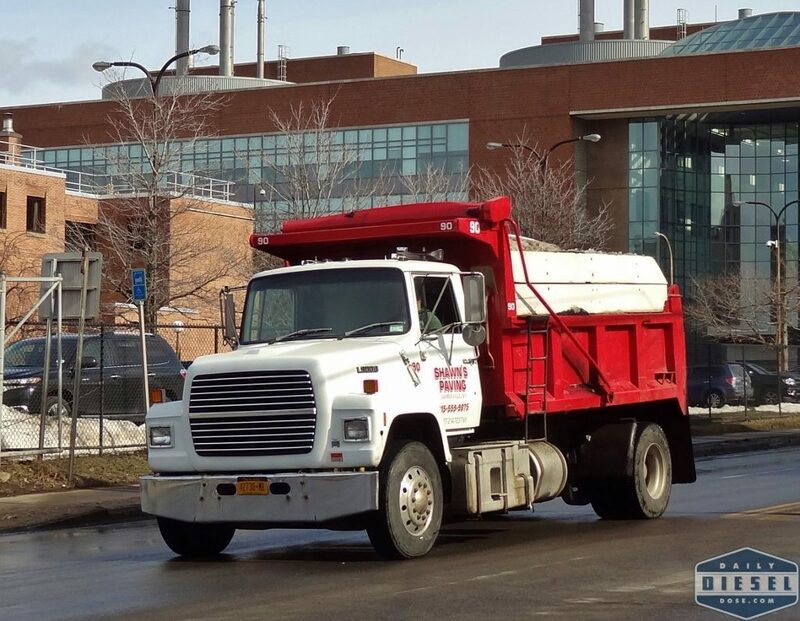 This truck is parked with a group of snow removal equipment. Can’t imagine this is the optimal kind of bed to be hauling snow around but I guess you run what you brung!